23S.Wallace 逐漸西行減弱 - 2019年 - 台灣颱風論壇 - 防災資訊、颱風、地震、天氣即時掌握 - Powered by Discuz! for the period until midnight WST Friday 5 April 2019. 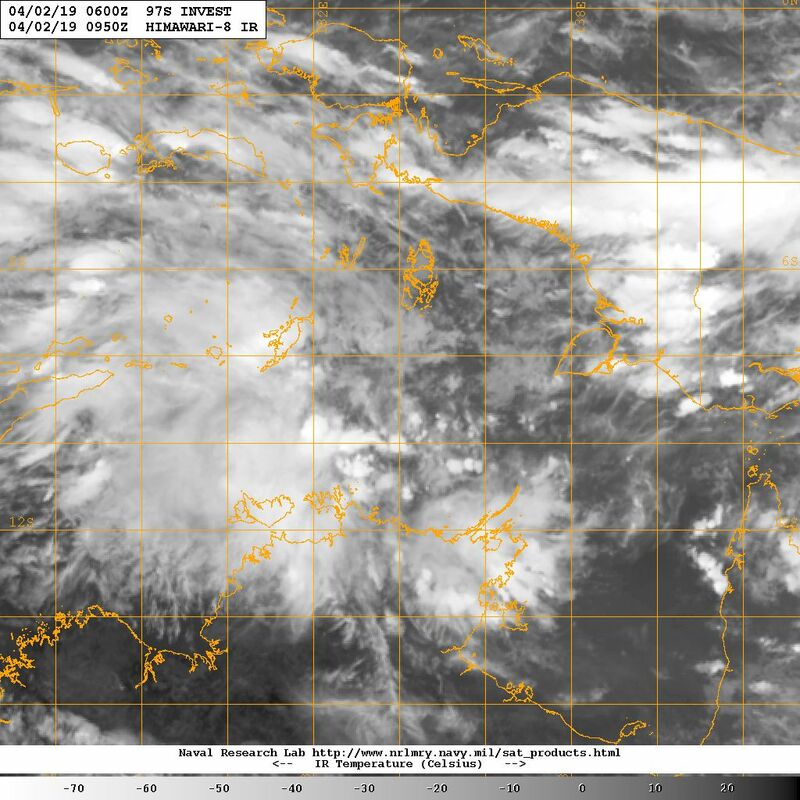 A tropical low is forming over waters north of the Northern Territory. 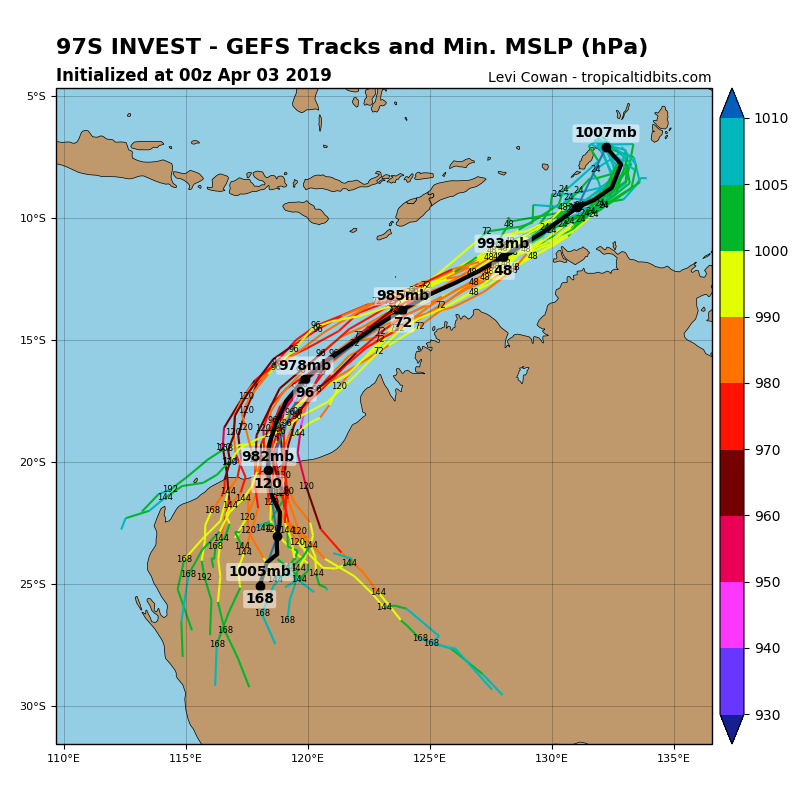 It is forecast to start moving west southwest on Thursday, taking it over waters north of the Kimberley from Friday and north of the Pilbara next week. 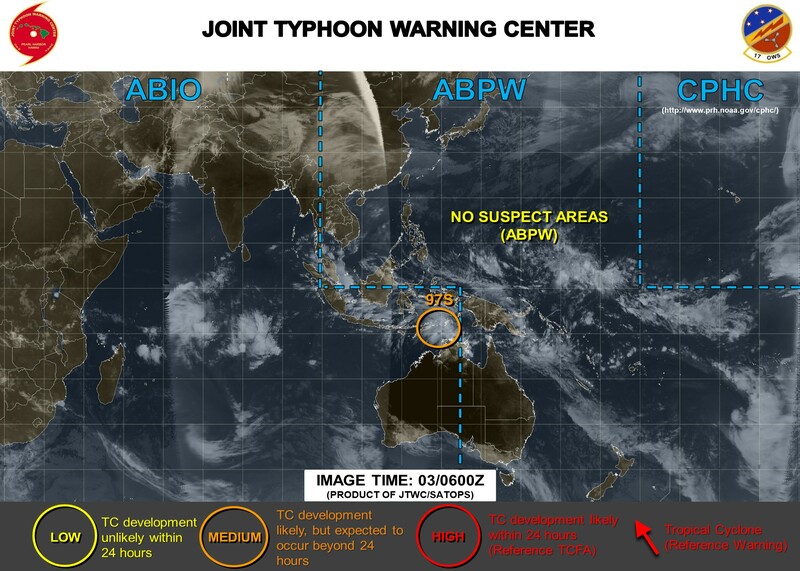 The tropical low has a Low risk of developing into a tropical cyclone on Friday, but since it is likely to still be east of 125E, the rating remains Very Low. 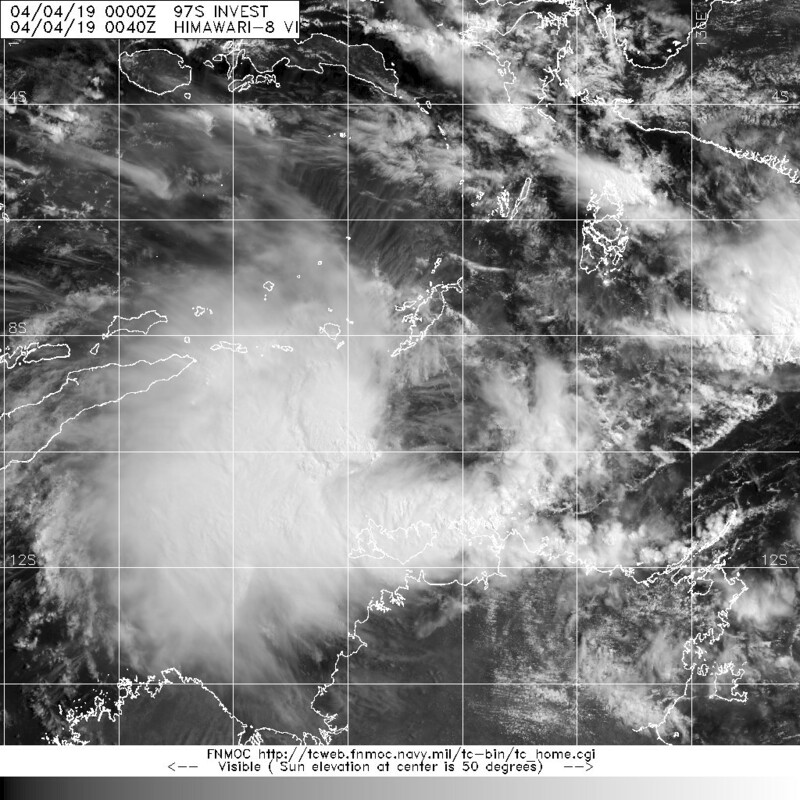 The risk of this system being a tropical cyclone in the region increases to Moderate over the weekend. 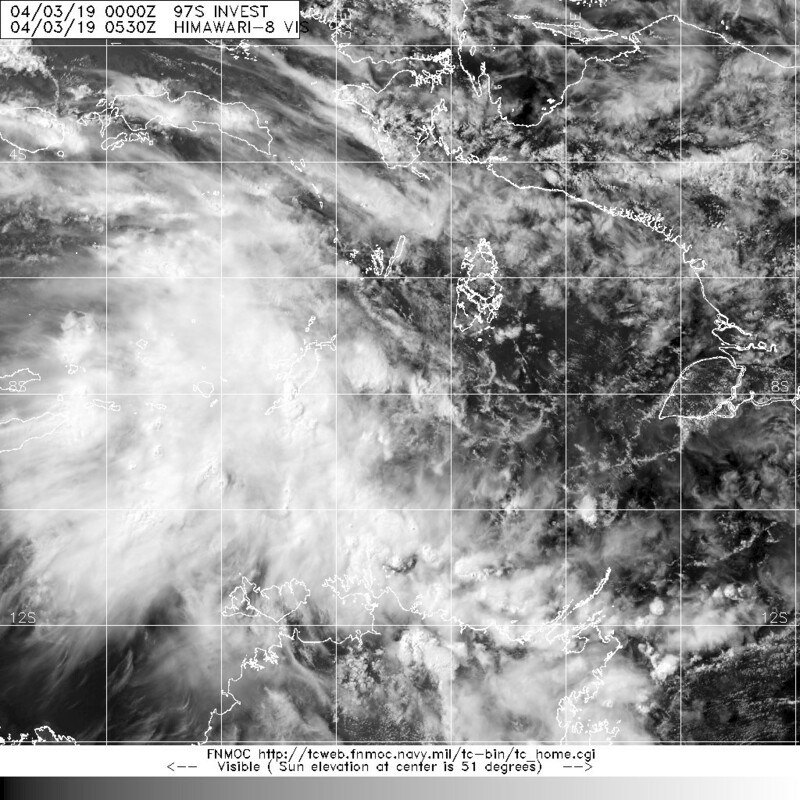 133.9E, APPROXIMATELY 276 NM NORTHEAST OF DARWIN, AUSTRALIA. 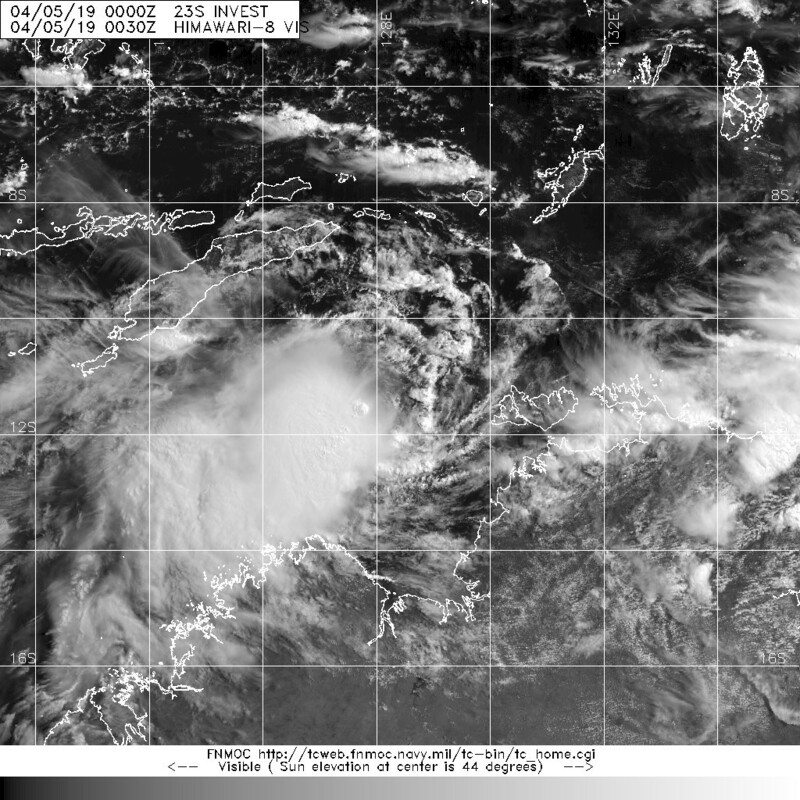 INTENSIFYING TO TROPICAL CYCLONE STRENGTH OVER THE NEXT 36-48 HOURS. Media: The Standard Emergency Warning Signal should NOT be used with this warning. 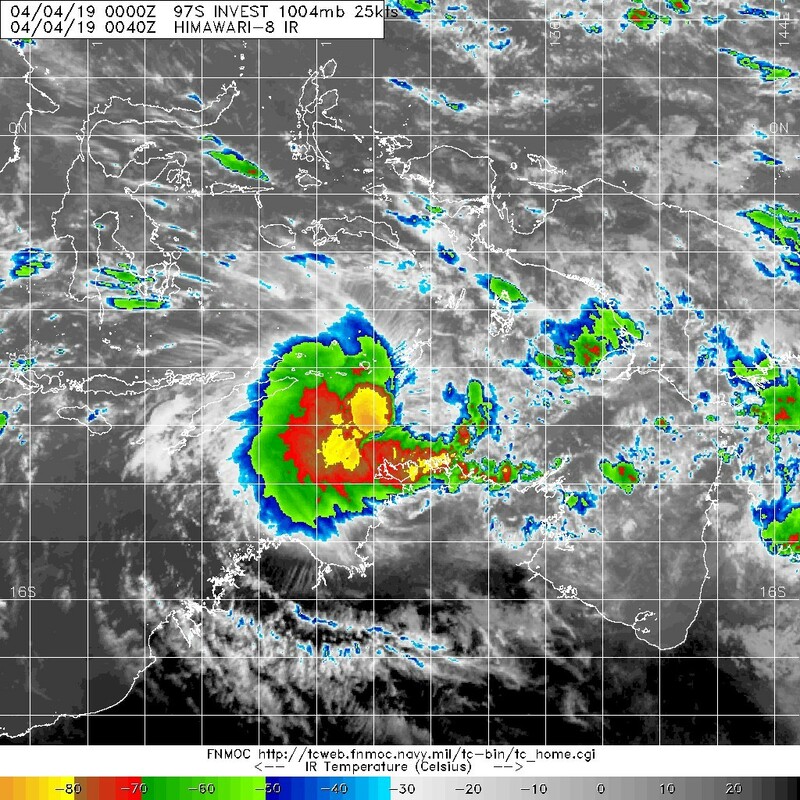 A developing tropical low may intensify into a tropical cyclone on Friday or Saturday to the north of the Kimberley coast. Location: within 110 kilometres of 9.3 degrees South 131.0 degrees East, estimated to be 240 kilometres north northeast of Pirlangimpi and 730 kilometres northeast of Kalumburu. Movement: west southwest at 15 kilometres per hour. 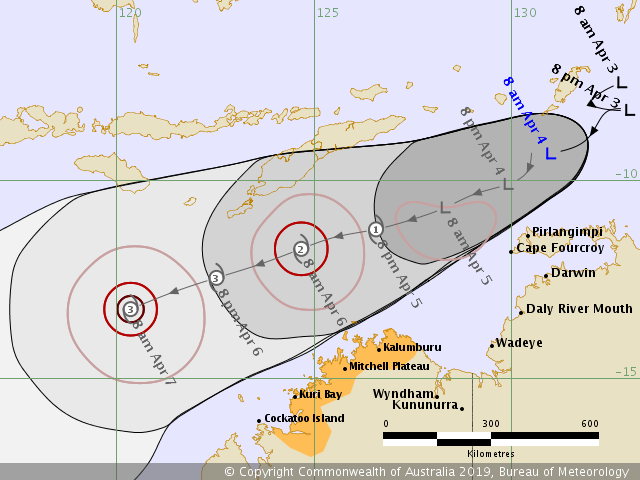 A tropical cyclone may develop during Friday or Saturday north of the Kimberley coast. 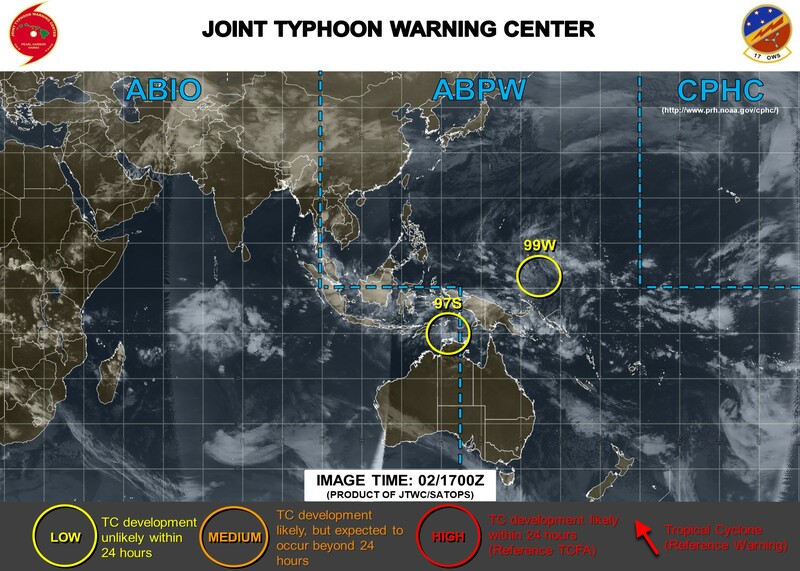 The system is expected to track towards the west to southwest and is likely to develop further over the weekend. Early next week there is potential for the system to approach the Pilbara coast. GALES are not expected in coastal areas on Thursday or early Friday. 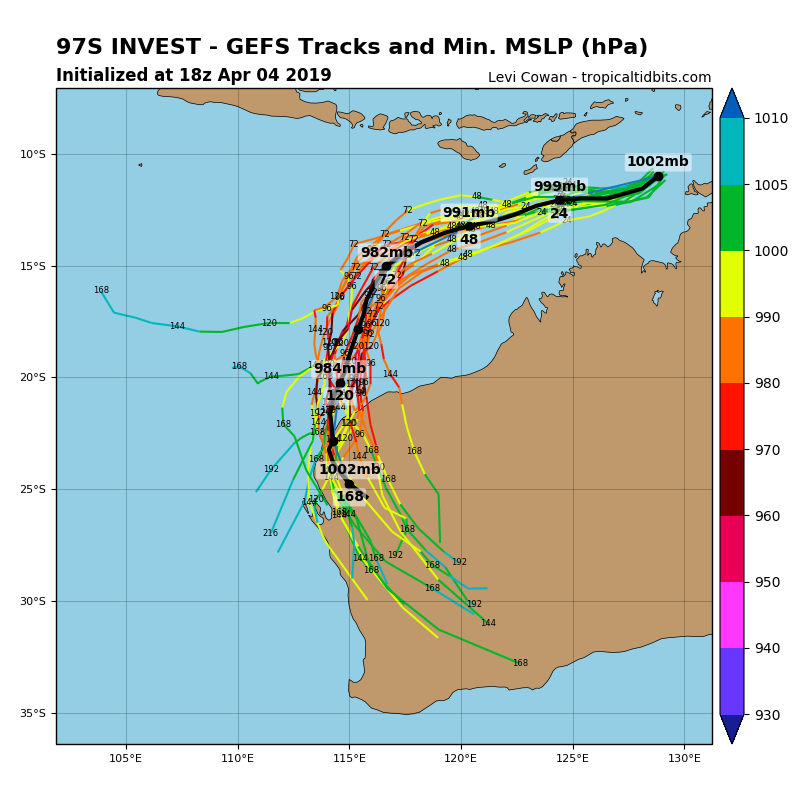 GALES with gusts to 100 kilometres per hour may develop in coastal parts between Kalumburu and Cockatoo Island late Friday or during Saturday. DFES State Emeregency Service (SES) advises tthat there are no community alerts at present. Communities between Cockatoo Island and Kalumburu should listen for the next advice. The next advice will be issued by 3:00 pm AWST Thursday 04 April. Cyclone advices and DFES Alerts are available by dialling 13 DFES (13 3337). A map showing the track of the cyclone is available at http://www.bom.gov.au/cyclone. 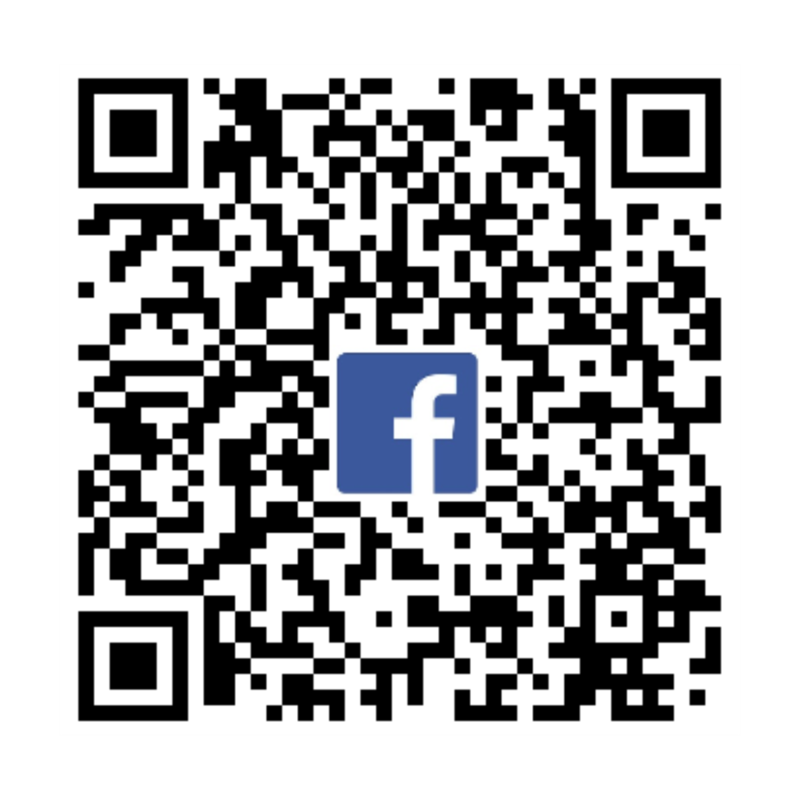 GMT+8, 2019-4-21 12:14 , Processed in 0.264699 second(s), 44 queries .